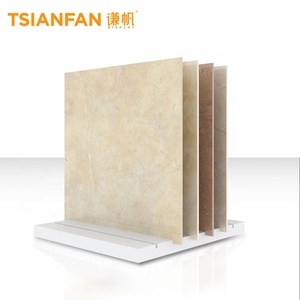 Hot sale wood slot stone tiles display rack Item Name Hot sale wood slot stone tiles display rack Model No TD23 Size L450*D450*H200MM(Can be customized) Material&Finish MDF board finished black melamine Application Wood slot stone tiles display rack is suitable and nice for tile shop and showroom to display various stone tiles samples. Lead Time Sample:7 to 14 days Order:20 to 30 days after sample confirmed Click for More Information! Located in the south of Fujian Province, the Company covers an area of over 32,000 square meters and has more than 400 employees. 3.QUALITY CONTROL We has developed a quality control system to ensure products and services to meet or exceed customer requirement and expectations. 4.GOOD PARTNERS We have good partners who has surface treatment lines for plating (chrome, satin chrome, satin nickel, black chrome, brush chrome, galvanization). Alibaba.com offers 5,174 stone display rack products. About 92% of these are display racks, 1% are supermarket shelves, and 1% are other material handling equipment. 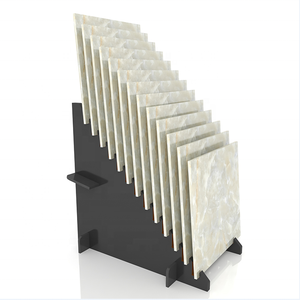 A wide variety of stone display rack options are available to you, such as metal, wood, and acrylic. You can also choose from free samples, paid samples. 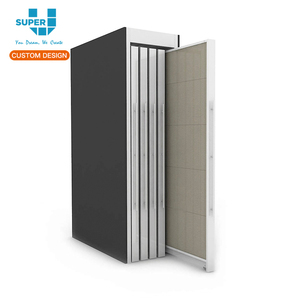 There are 5,175 stone display rack suppliers, mainly located in Asia. 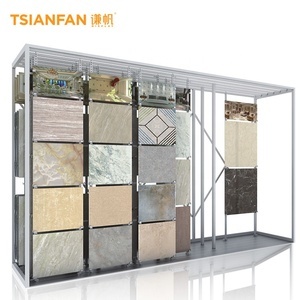 The top supplying countries are China (Mainland), Vietnam, and New Zealand, which supply 99%, 1%, and 1% of stone display rack respectively. 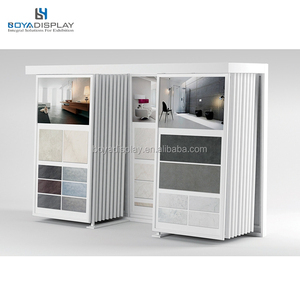 Stone display rack products are most popular in North America, Domestic Market, and Oceania. You can ensure product safety by selecting from certified suppliers, including 670 with ISO9001, 68 with Other, and 12 with ISO10012 certification.